The race is on to establish powerful international ‘halal brands’. The stakes are high: by some estimates, the global market for halal products is worth $500 billion a year. But it’s a market strewn with confusion, as separate Muslim countries try to establish recognised standards and producers from outside the Muslim world also hurry to enter the market. That leaves many Muslim consumers crying out for reliable brands that will help them guide their choices. First, for the uninitiated, what is halal? In its broadest sense, it applies to anything that is “permitted” or “lawful”and covers everything from food to finance to logistics. In a narrower sense, it covers anything made from animal products, especially food, personal care products and pharmaceuticals. Certification in these industries can be especially tricky. That makes it all the more important for marketers to establish credible brands that give Muslim consumers the assurance and confidence they crave. As halal brands proliferate, those that can establish instant recognition and credibility will gain a larger mind share and pocket share among Muslim consumers. As in any industry, brands that establish first mover credentials are likely to win. 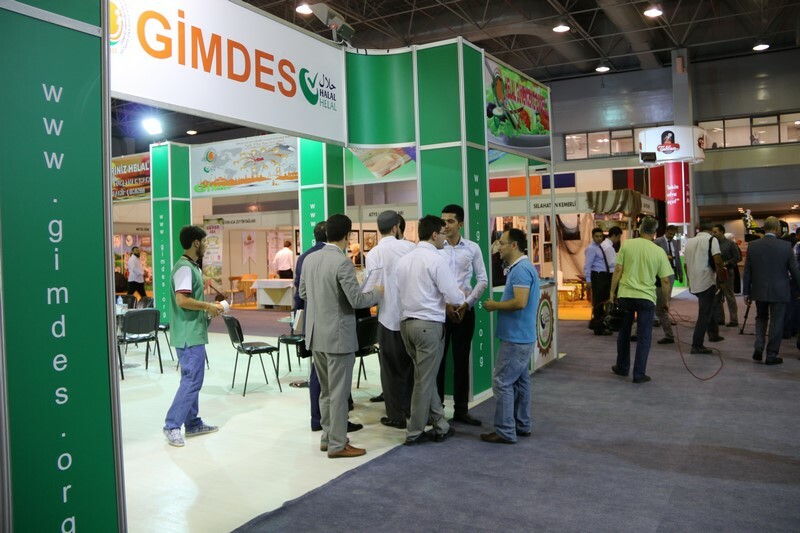 In Turkey, GIMDES has given around two hundres companies for increase halal brands all over the world. For now, the race to establish recognised brands is being conducted at country level. Brunei Darussalam sees the ‘Brunei Halal Brand’ as a means of diversifying its economy away from oil. It focuses primarily on food and offers small and medium sized enterprises an umbrella brand under which they can reach an international audience. As part of that effort it plans to open a UK facility in Birmingham, a city with a large Muslim population. 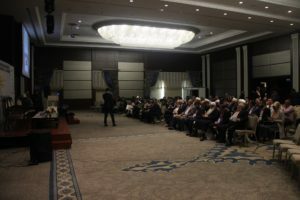 It also wants to strengthen its Islamic association in the minds of Muslims, with a tourism initiative titled “Brunei Islamic Experience.” The aim is to net a share of the blossoming halal tourism market, which requires halal certified hotels and restaurants. Singapore is also vying to create value with its Singapore Halal Brand. The minister for Muslim affairs spoke recently about how a quintupling of halal-certified restaurants has boosted tourism. Given that two of Singapore’s biggest markets for tourists are Malaysia and Indonesia, the increase in halal food availability is a clear win. Similarly, Malaysia’s JAKIM (Department of Islamic Development) wants to establish itself as a global standard, supported by the Halal Industry Development Corporation, set up by the government. Governments outside the Muslim world are also joining in. New Zealand Trade and Enterprise has identified halal as an emerging global trend that holds promise for the country’s food and beverage and cosmetics industries. The government in the Philippines – a predominantly Roman Catholic country with a Muslim minority – recently issued halal guidelines. Even Carrefour in France has brought a range of halal products to market – though French retailars have been rather coy on the subject. We must take Muslim nations at their word when they say they are developing Muslim brands with a view to the welfare of their Muslim citizens. But to achieve that aim, internationally-recognised standards will be important, by delivering clarity and ease of deciphering the various halal brands. It does not mean that there is not room in the market for many brands. But there are tips to follow and pitfalls to avoid if a brand is to enjoy success. Even where standards are shared, brands of course will vary. This is where differentiation is important. Brands can exhibit different values and can excel tremendously through communications and engagement with target consumers. For brands that want to win loyalty, standards are the technical backbone, the must-have qualities. But for the brand to engage with consumers, it must be a friend and support the consumer’s Muslim lifestyle. The most important quality for a consumer halal brand is to offer clear, simple and credible information on what makes the product halal and who has certified it. With modern manufacturing techniques involving a myriad of ingredients and processes, and inputs from multiple sources, it can be hard for a lay customer to know definitively whether a product is halal. Muslim consumers yearn for brands to help them identify products to support their chosen lifestyles. The halal brand they select becomes a byword for the level of piety that suits them and represents who they are. Brands must explain their halal credentials, of which one aspect is a clear and credible logo. But a halal brand is much more than a logo. It must stand for values that are important to the Muslim consumer: purity, integrity, transparency and wholesomeness, to name a few. For tech savvy futurists who are the most influential among Muslim consumers, putting clear information on the web is crucial. Equally important is that retail staff should be primed on the halal logo used and the certifier. For products other than food and beverages, an explanation of what it means to be halal and how the product achieves it is even more important. In the halal cosmetics industry, this means no alcohols and no animal-derivative ingredients. There is also a growing trend towards ethical and organic production, as well as use of traditional, local ingredients. What national brands must avoid is conveying a sense of competitiveness or bickering. While standards may vary, there is nothing more off-putting for Muslim consumers than what they see as the un-Islamic behavior of putting another brand down or causing confusion. Above all, brands must exude credibility. The last point is particularly crucial for halal brands from non-Muslim countries. Muslim consumers will ask: under what authority is this product deemed halal? Our research found that Muslim consumers are not averse to such brands. Whether they are of Muslim origin or not, along with halal credentials, what consumers want is quality, care and clarity. The takeaway message is that credibility and clarity are the fundamental pillars of any global halal brand. Muslim consumers see halal brands as their allies in building their Islamic lifestyle. Halal brands must keep this trust in mind and ensure that their products and communications express how this trust is valued, and how the brand helps to safeguard its consumers’ well-being. 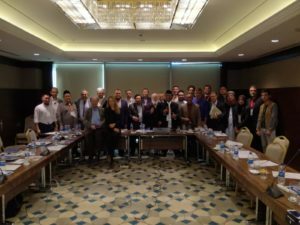 Print article This entry was posted by admin on March 30, 2012 at 7:23 am, and is filed under HALAL NEWS. Follow any responses to this post through RSS 2.0. Responses are currently closed, but you can trackback from your own site.